Investigators have found further proof that consuming too much of the sugar fructose is linked to a global rise in metabolic disease. It was conducted in mice and corroborated in human liver samples, unveiing a metabolic process that could upend previous ideas about how the body becomes resistant to insulin and eventually develops diabetes. The increasing prevalence of diabetes is considered a health epidemic. as more than 29 million people in the U.S. have diabetes and another 86 million have pre-diabetes, according to the Centers for Disease Control and Prevention. “There is still significant controversy as to whether sugar consumption is a major contributor to the development of diabetes,” said the study’s senior author, Mark Herman, M.D., assistant professor in the Division of Endocrinology, Metabolism, and Nutrition at Duke University School of Medicine. Insulin is a key hormone that regulates blood glucose after eating. Insulin resistance, when the body’s metabolic tissues stop responding normally to insulin, is one of the earliest detectable changes in the progression to diabetes. However, according to this study, the cause of insulin resistance may have little to do with defects in insulin signaling and might actually be caused by a separate process triggered by excess sugar in the liver that activates a molecular factor known as carbohydrate-responsive element-binding protein, or ChREBP. The ChREBP protein is found in several metabolic organs in mice, humans and other mammals. In the liver, it is activated after eating fructose, a form of sugar naturally found in fruits and vegetables, but also added to many processed foods including soft drinks. The study found that fructose initiates a process that causes the liver to keep making glucose and raising blood glucose levels, even as insulin tries to keep glucose production in check. To test their hypothesis, researchers studied mice that were genetically altered so their liver insulin signaling pathways were maximally activated — in other words, their livers should not have been able to produce any glucose. The researchers found that even in these mice, eating fructose triggered ChREBP-related processes in the liver, causing it to make more and more glucose, despite insulin signals telling it to stop. Previous studies have reported that high fructose diets can cause multiple metabolic problems in humans and animals, including insulin resistance and fatty liver disease. Because most people found to be insulin-resistant also have fatty liver, many investigators have proposed that the fructose-induced fatty liver leads to liver dysfunction, which causes insulin resistance, diabetes and high risk for heart disease. The new findings suggest fatty liver disease may be a red herring, Herman said. The likely cause of insulin resistance may not be the buildup of fat in the liver, as commonly believed, but rather the processes activated by ChREBP, which may then contribute to the development of both fatty liver and increased glucose production. Although much more research is required, the scientists believe they better understand a key mechanism leading to pre-diabetes and can now explore how to possibly interrupt that chain of events. ChREBP may not be the only pathway by which this happens, and the protein may also be activated in other ways, Herman said. But the study provides an important lead, he said. The finding could also help scientists one day diagnose metabolic disorders earlier on, potentially allowing patients to make changes to their diets and lifestyles sooner to prevent more serious complications. 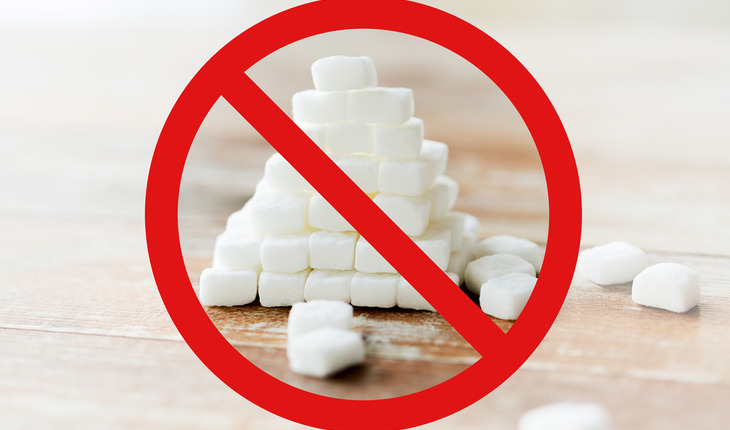 As a medical doctor, Herman said the advice to patients remains the same: make sure you’re not eating too much sugar, which often shows up on labels as sucrose (the main ingredient in beet and cane sugar) and high fructose corn syrup. Both sweeteners contain both glucose and fructose and are rapidly absorbed, he said. In its naturally occurring form and quantity, fructose is not particularly harmful, Herman explained, because if you’re eating an apple, for example, you’re eating a relatively small amount of sugar and it’s combined with other nutrients such as fiber that may slow its absorption.